Reflexology is an ancient, holistic therapy. It is the study and practise of working reflex points on the feet. There are nerve endings from all parts of the body in the feet so by working on them you work on the whole person. It has many benefits which include relaxation and stress reduction and it encourages the body to address any imbalance that it may have. A “stress busting” reflexology session will be delivered over 30 minutes. It would be preferable to have a room assigned for the session in the work setting. The client will sit in a reclining chair or lie on a table. As it involves working on the feet footwear is the only clothing removed. Up to five sessions can be delivered over a half-day onsite. 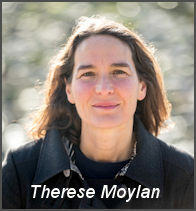 Therese Moylan qualified as a reflexologist in 1999. She is a qualified general nurse and has a wide variety of specialist experience, including oncology, rheumatology, renal medicine and theatre. She is a mother of five. As natural stress busting she enjoys all round sea swimming, rowing and being outside.